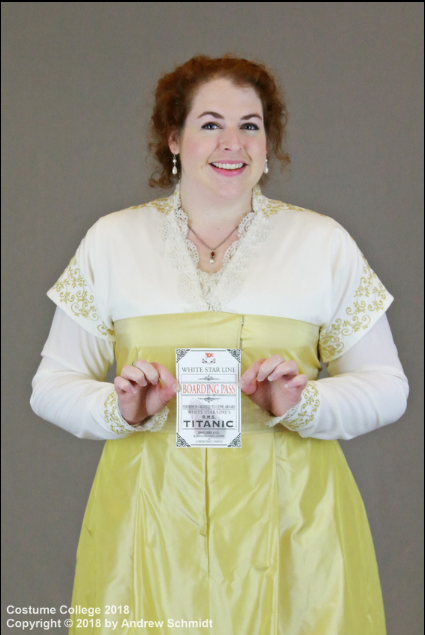 The Titanic deck dress got its first outing when I wore it on Halloween in Las Vegas. 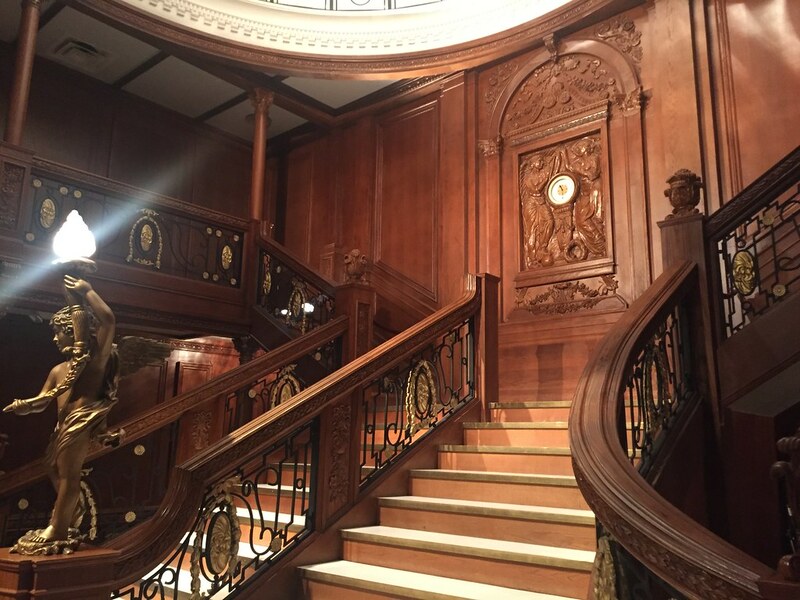 During the afternoon, I went to the Titanic Exhibition, but alas, no pictures inside (though I did sneak a couple of the grand staircase, I wasn't able to get more than a selfie of myself in there. And the pictures they took of me are not worth $10/pic). 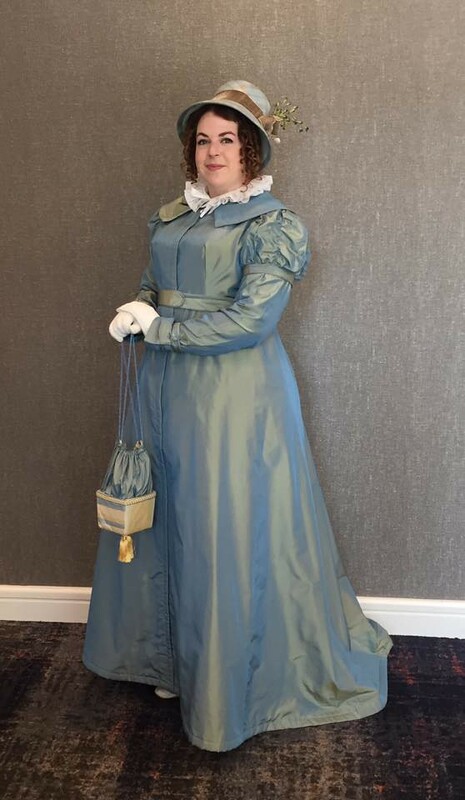 But then in the evening, I wore it for a formal work event, and my coworker was nice enough to take a few pictures of me afterwards. 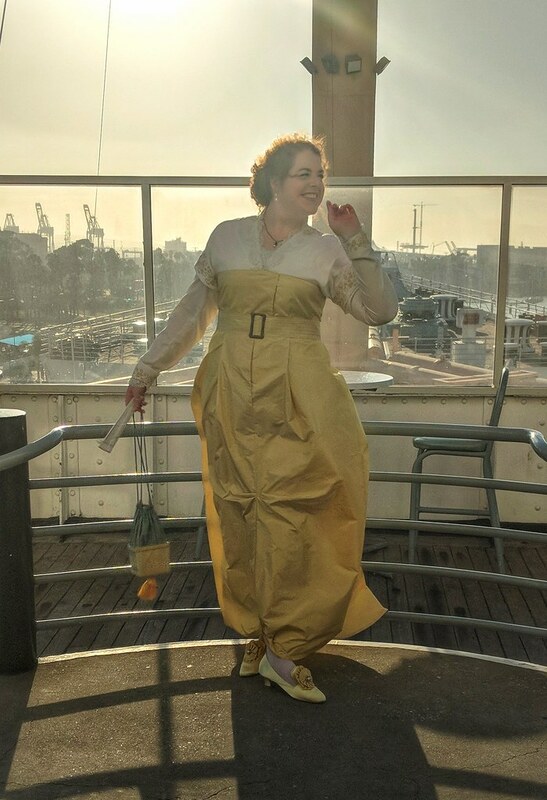 I'll be wearing this again at the Friday night social at CoCo with the Titanic group (let me know if you'd like to join! ), and I'm hoping maybe a 20th anniversary of the movie event will pop up in Dec, but I haven't seen anything so far. I didn't make it home till after 8pm last night, so not only did I not do the hem, I didn't even get to do anything more than cut out the etsy order. I'm hoping maybe I can get it done this evening to run it to the post office by 5, but if not, it will go out tomorrow. 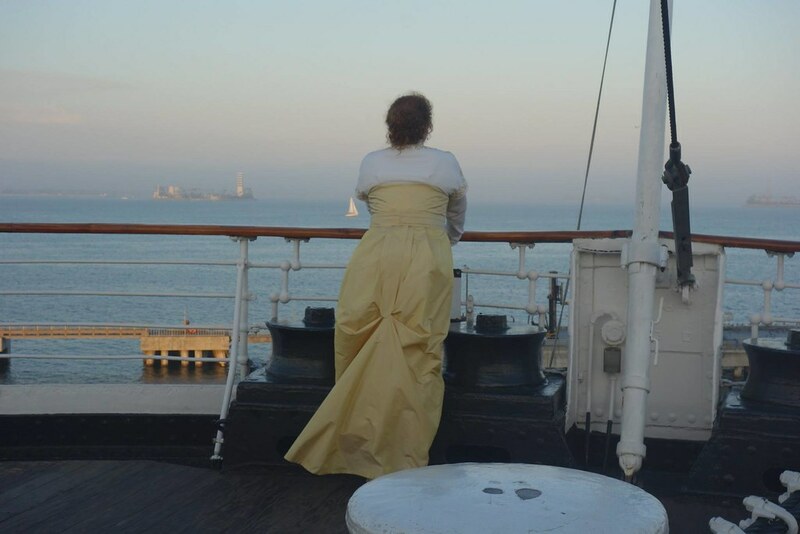 So in lieu of sewing content, here's a few pictures of the deck dress that I took the other day. 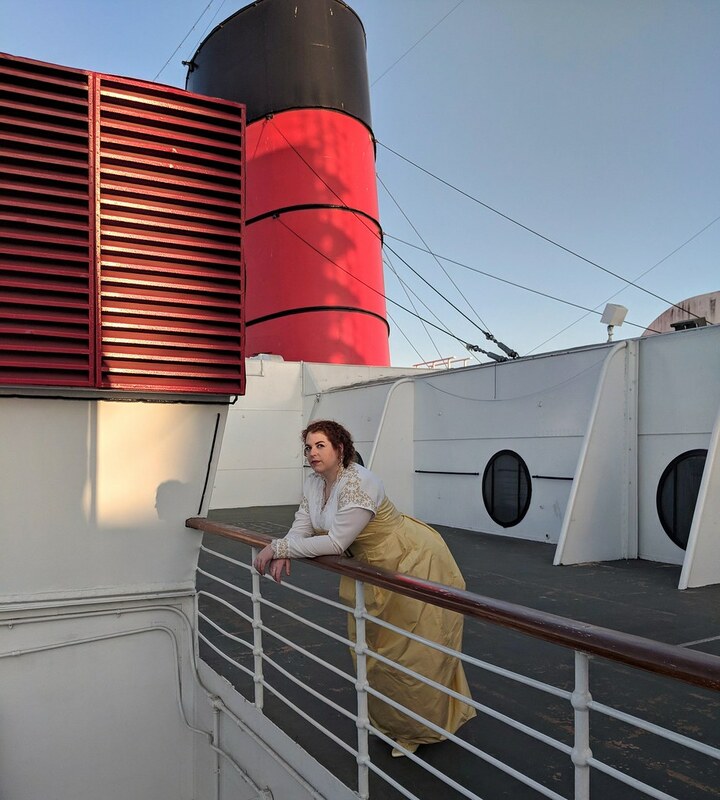 I've been really terrible about posting to here with Titanic progress since it takes so long to do pictures on here, but I have been posting pretty regularly on instagram and on facebook. 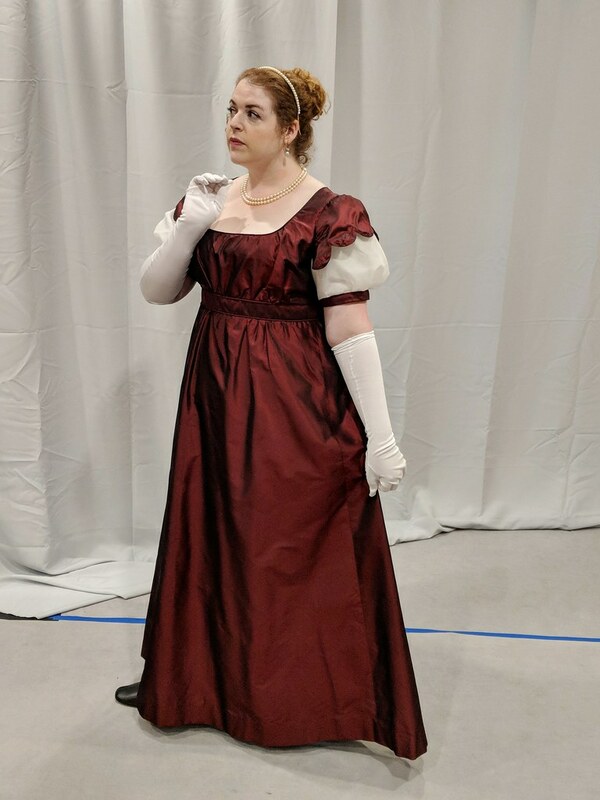 Basically, at this point, the entire project is complete except for the dress hem, sourcing that darn buckle, and acquiring the right jewelry and hair comb (I should probably get on that). 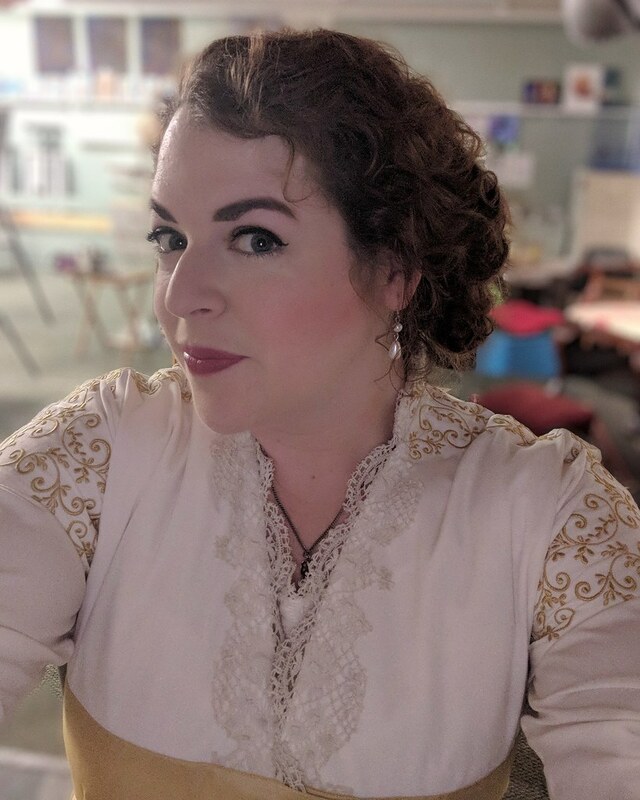 I was playing around with my hair yesterday to try to get the right look (I swear that simple-looking Edwardian hair is somehow one of the hardest hairstyles for me to achieve), and decided to take some pictures while wearing the full outfit. Of course, at that point, I still hadn't finished all of the closures, and I have since also tweaked the pickup in the back in the attempt to get a little more hem length, so these pictures are not ideal. They're also not edited yet, so while I will be posting them soon, I'm really just teasing them now. If you want to see the pictures I've already shared, you can click the link above for my instagram. But in any case, I plan to put it all on again today and somehow figure out where I need to mark the hem length in the back so that I can get the whole thing finished tonight. 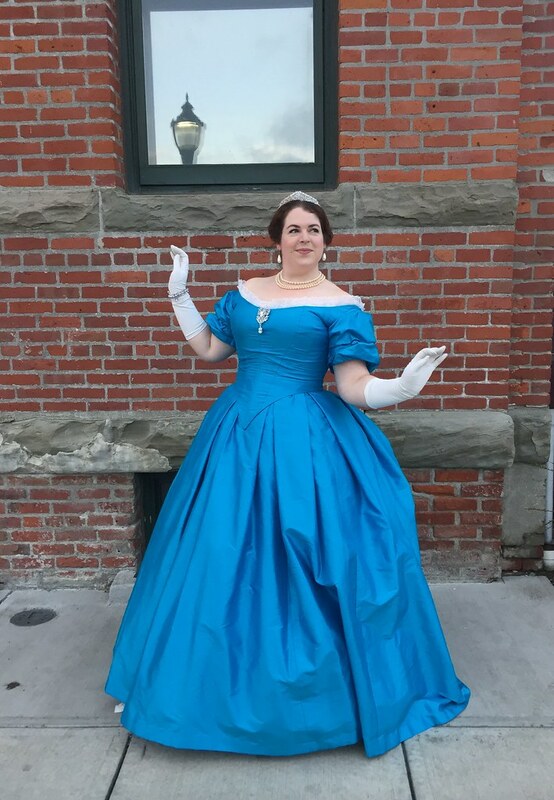 I also have an etsy order for a tiny Cinderella dress, so that needs to be done tonight, too. 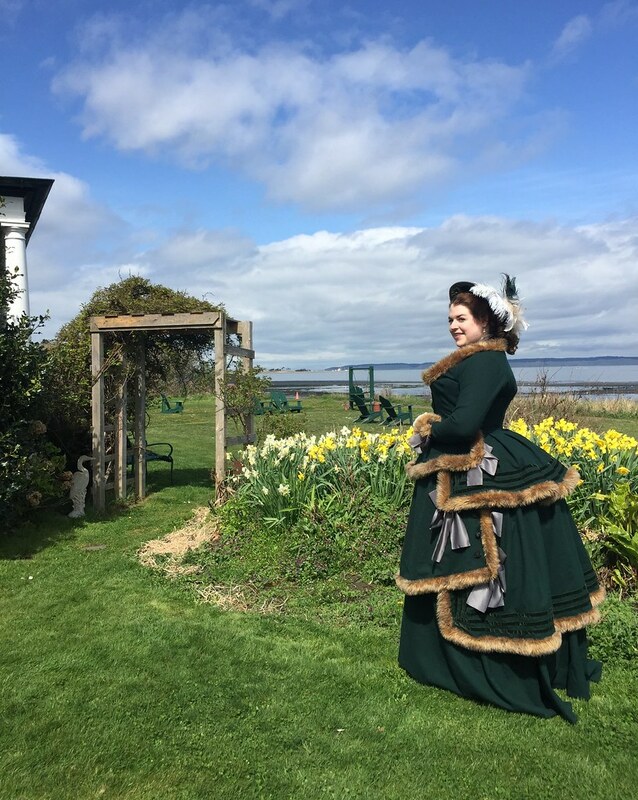 After that, I have a Victorian commission I'll be starting work on as soon as I get the contract back, and that will likely be followed by another commission, so I'm not sure when exactly I'll be getting back to the bustle gown. Still, the commissions are good, since they will help me pay for Europe next year! I didn't have time to do too much sewing on Monday, but I did finish the sleeve embroidery on the kimono sleeve portion. 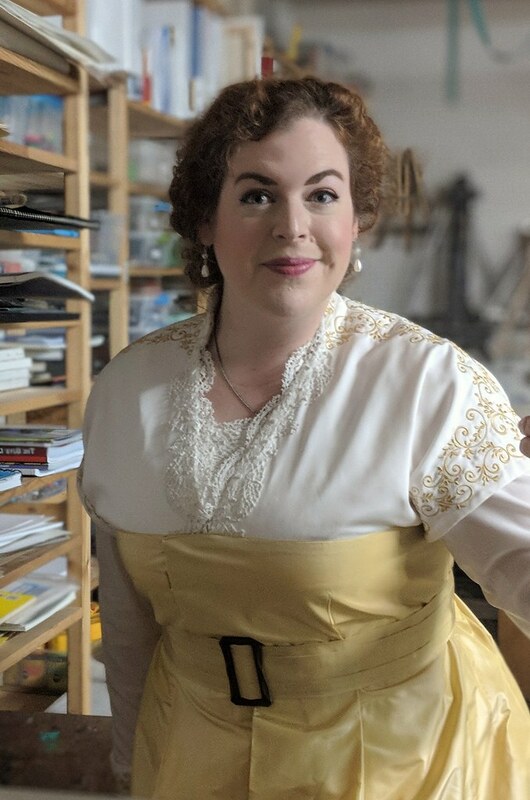 And then yesterday I played around with the collar, settled on a length/height/slope that worked well, and then moved on to the under-blouse. I used a basic blouse pattern with no opening, so that I could just pull it on over my head, and altered it to be a scoop neck. Then I patterned out a fairly-fitted one-piece sleeve. 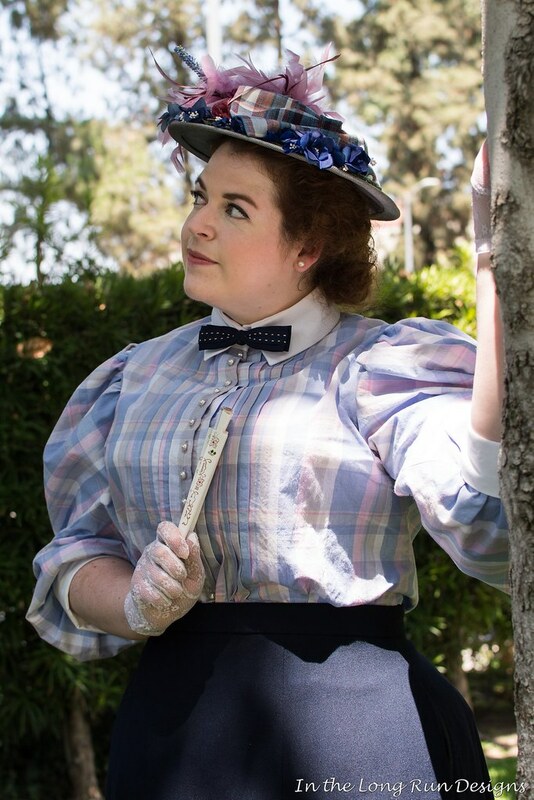 I'm doing the bodice part of the blouse out of muslin since it doesn't show at all, with the sleeve out of the poly crepe that I used for the kimono sleeve section (that section is flat-lined with muslin). The end of the sleeve will be lined with muslin to prevent the embroidery from bugging my wrist. I'm probably going to put a little triangle of the crepe at the CF of the neckline of the under-blouse, too, since a couple inches of that will show. 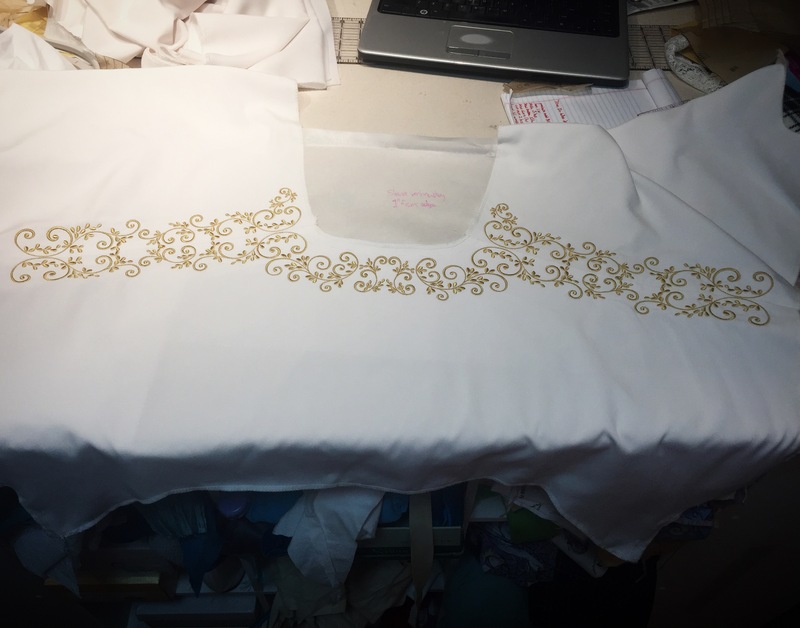 Then I hooped up the sleeve ends and the collar for embroidery, and set about putting together my embroidery patterns to the right fit and look. I was really hoping to get both cuffs in at once, but my hoop was about 1" of width short, so I had to do two hoopings. 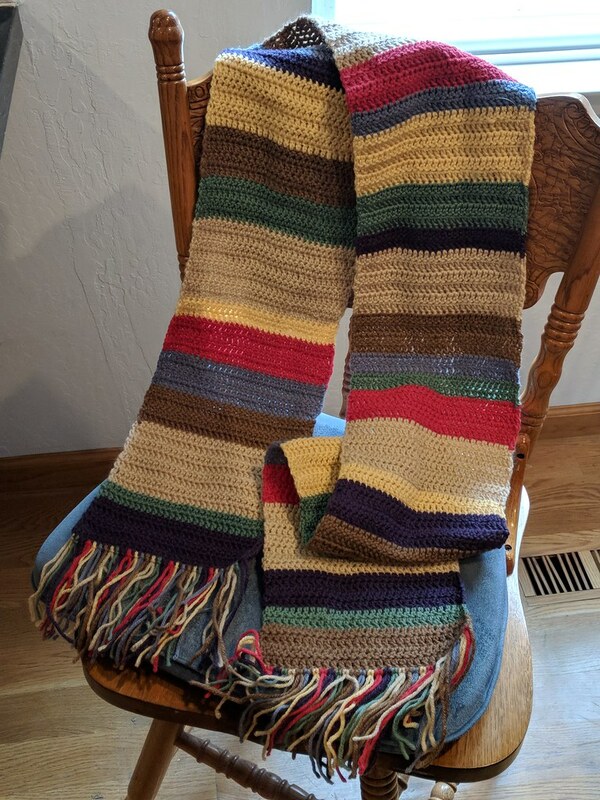 I left the first one (one sleeve and collar) going while I went to sleep, since it was a 63 minute stitch-out, and then this morning I flipped the design over and had the machine do the other cuff while I got ready for work. 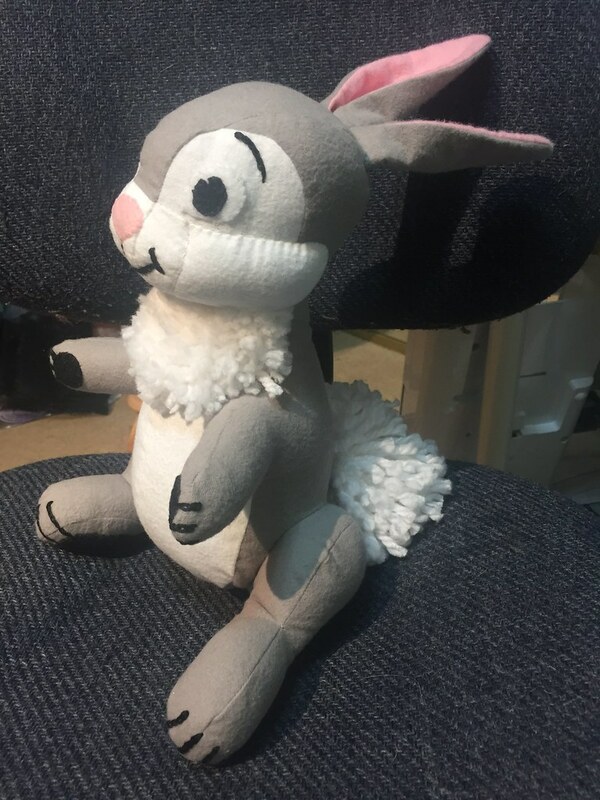 So now the embroidery is all done for this project! I do have rehearsal tonight, but I'm hoping to maybe have a little time to work on it between work and rehearsal. I'd like to get the collar attached to the kimono sleeve portion and start on binding all the edges of that. It's getting close, though. I should almost certainly have the whole project done by Friday night. Oh, and also, my satin shoes arrived (the parisxox ones that everyone has been buying on etsy). They're definitely tight in the toes, to the point where you can kind of see the shape of my foot in the shoe. 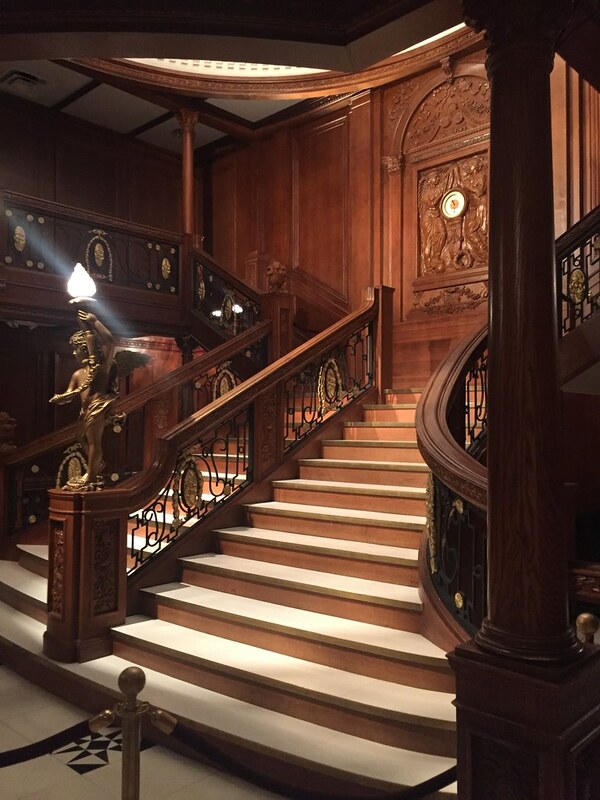 (That said, in the pictures of Kate Winslet, you can see the shape of her foot in the shoes as well). Also, the weird diagonal side seam makes my foot look crazy wide. So I don't know if I'm going to keep them. I think I'm going to try wearing them around the house for a little bit and see if they stretch out. Otherwise, I'll have to find alternatives somewhere, and so far I'm coming up empty, since the only other dyeable pumps I've found are pretty clunky looking, and $55-60. So far no luck on finding the appropriate buckle, though. If anyone has any leads to a 2.5" tall (interior measurement) oval buckle, either antique gold colored and textured or not (since I can always paint/add texture), please let me know! I've been all over ebay and aliexpress with no luck. 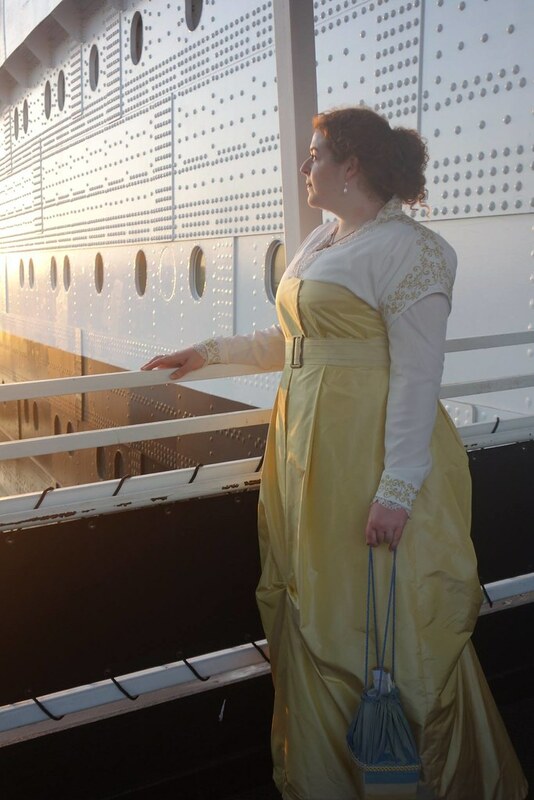 I was able to work quite a bit on the Titanic dress over the weekend, and I think I just need a couple more days of work on it at this point. 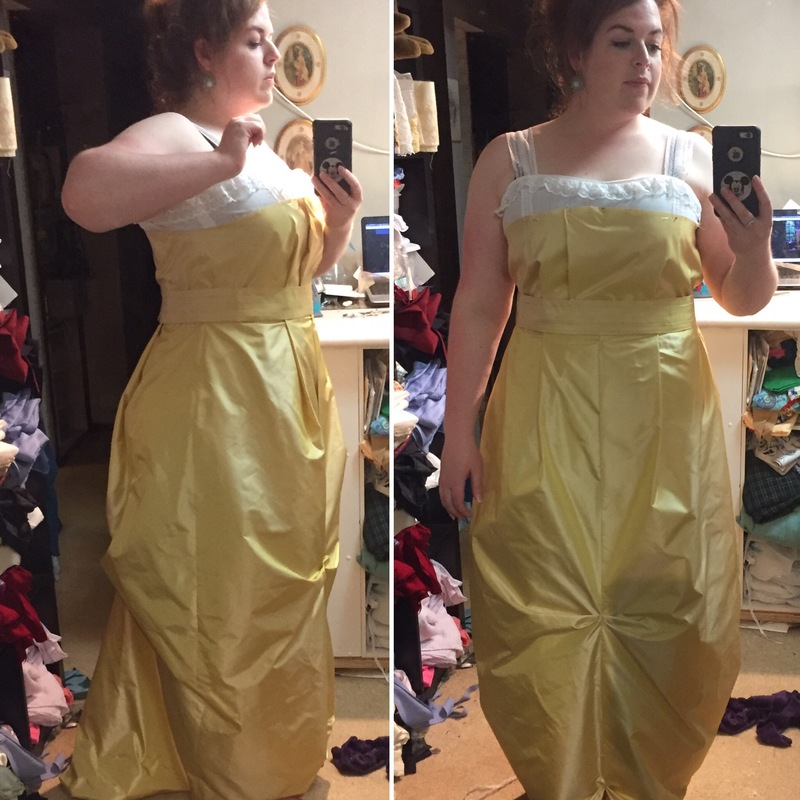 The yellow part is close to being done - it still needs a hem, closures on the bodice, and it needs to have the back tail part attached (the part that covers where the pickup is on the skirt). 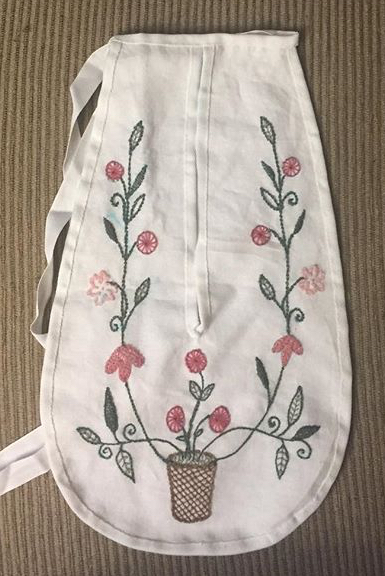 I'm in the middle of embroidering the white kimono sleeve portion right now - I finished the part across the shoulders and the back of the neck. Next up is the ends of the sleeves. 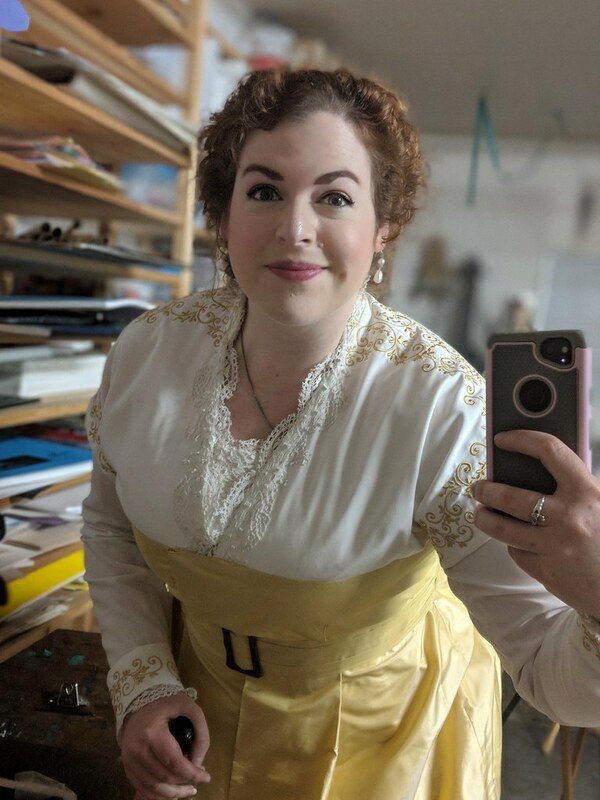 Then I have to do a test of the collar, embroider the collar and attach it to the bodice, then bind the edges, add lace, and attach the yellow to the kimono sleeve part (luckily, I've already marked where that goes, so it shouldn't be too bad. I still have the entire underblouse to do, though, including a mockup. I hope to knock out the mockup today, while finishing the kimono sleeve embroidery. Here are some pictures. 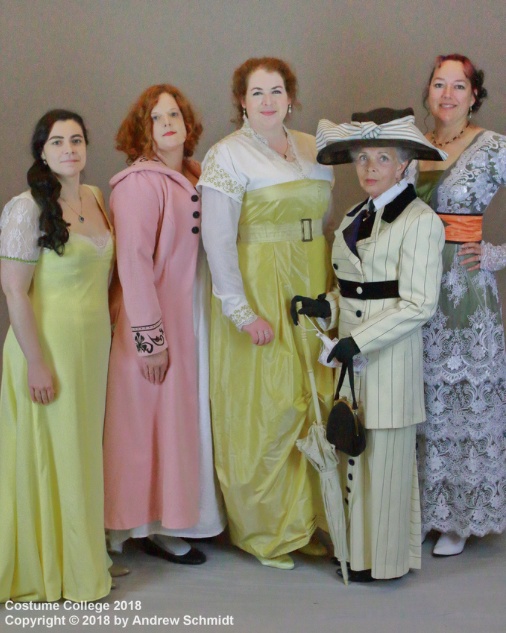 The first two were from before I figured out the fit of the bodice, and the second two were from afterwards. 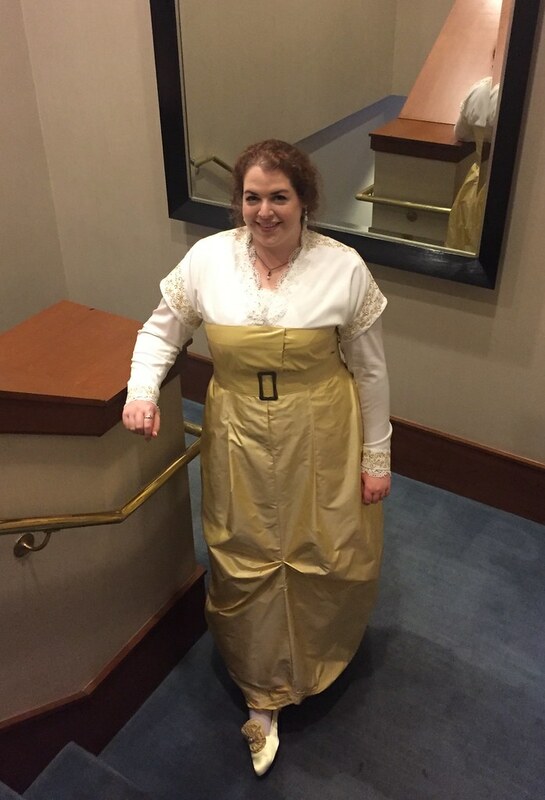 I tried to match pleats at the waist of the bodice to the pleats in the skirt, but it was wrinkling totally wrong. 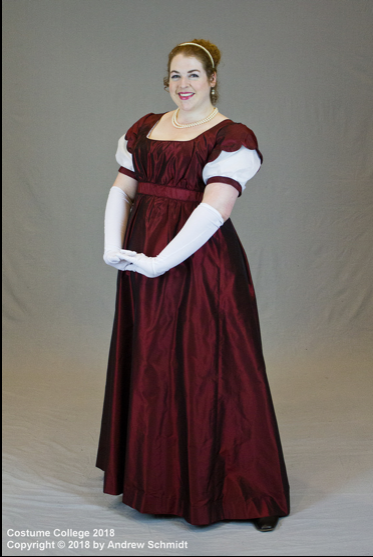 So I wound up doing no pleats in the back of the bodice, and taking a dart at where the side seam would be, and that fixed the fit issue. 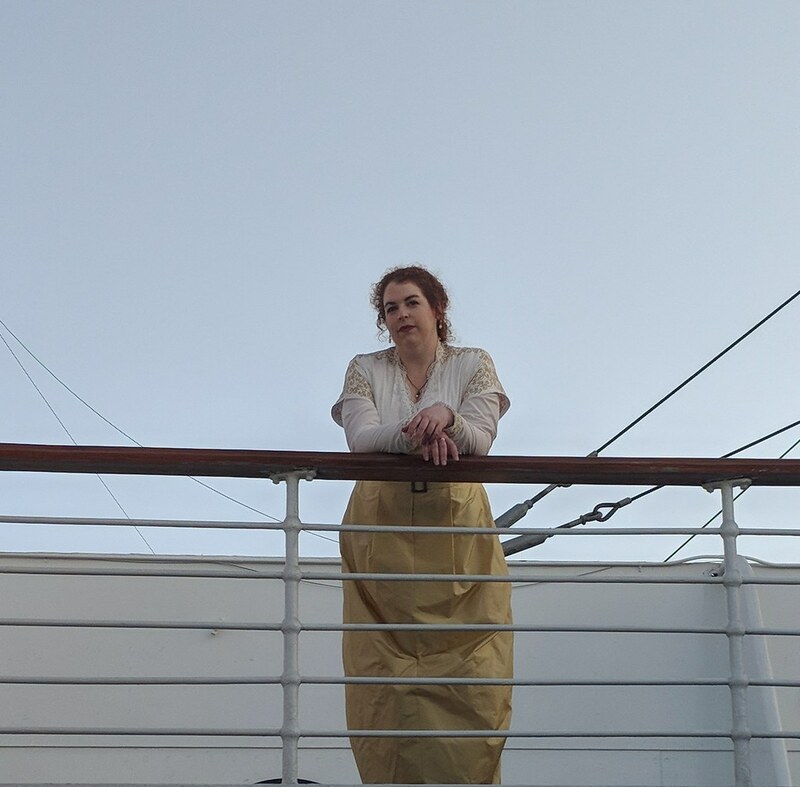 I've been playing around with research/patterning/draping the yellow deck dress from Titanic, and I've come to a conclusion - it's impossible. 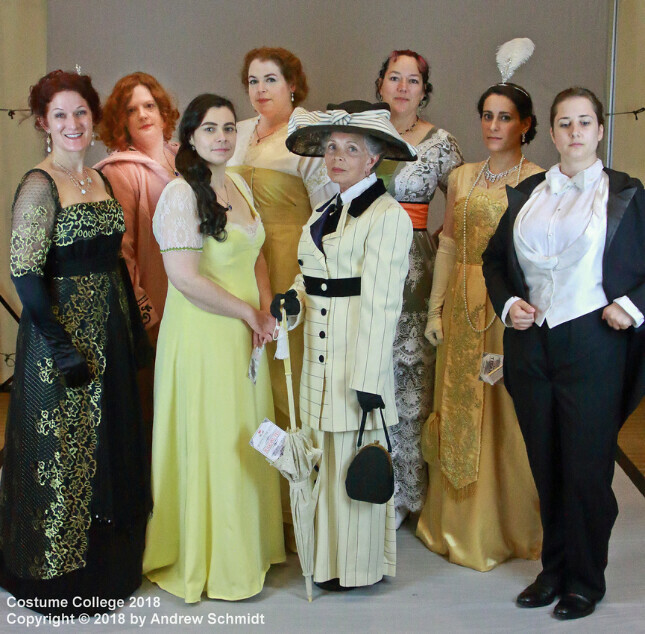 Not sure if it's that Kate Winslet was just that small, or if they were working with extra wide fabric, but I would need a piece of fabric approximately 74x72" for the skirt portion, because THERE IS ONLY ONE SEAM. Like seriously, I'm not even sure how that skirt works with the only seam being the center front, but that's just what it was. I still haven't concluded if the original was one piece from the top of the yellow to the hem. 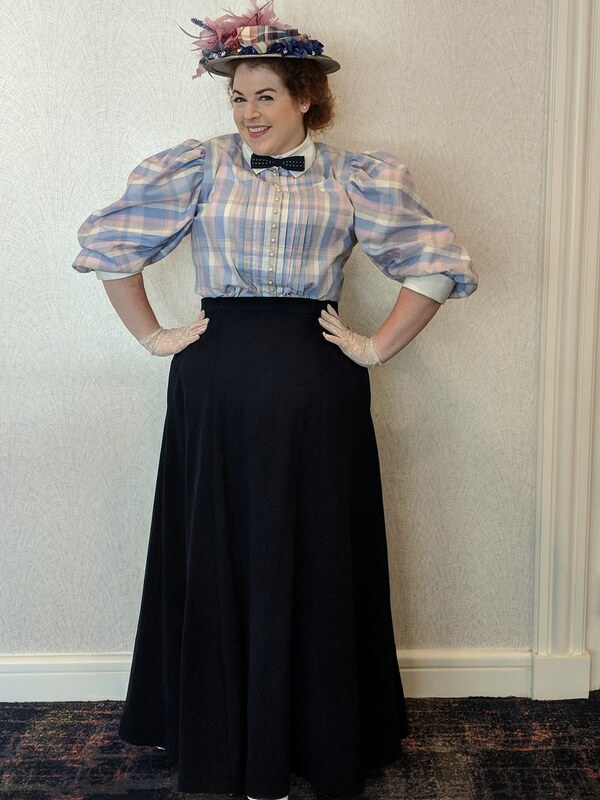 I'm leaning towards it having been two pieces, because it's a dogleg closure up the front, and that seems like it would be easier to do if the bodice was a separate piece from the skirt. My CoCo started with two very hot days in Disneyland with nuranar! We spent most of the first day at CA Adventure, which was pretty wonderful. 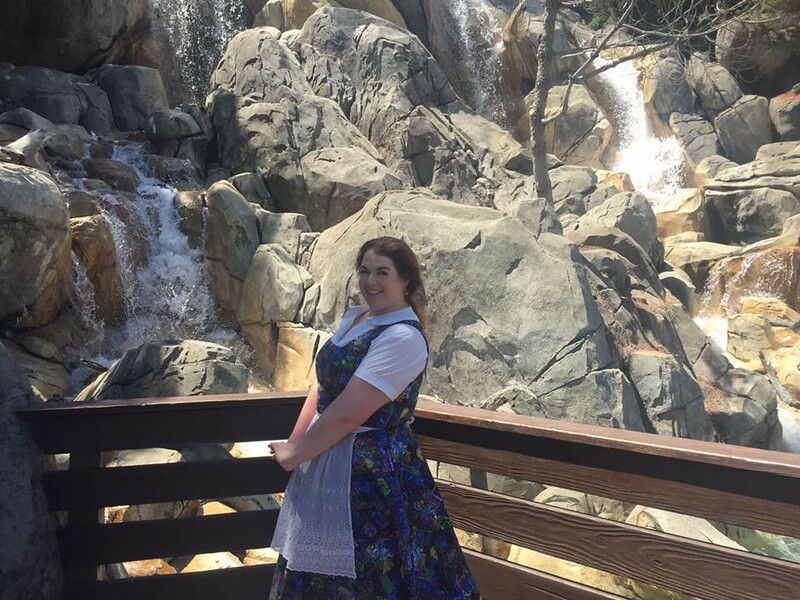 I think the highlight for me was probably experiencing the brand new Frozen show, and I liked it way more than I thought I would. Our Elsa was freaking amazing! We also got to experience the new Soarin Around the World, and we saw the 60th Anniversary version of World of Color, which was pretty impressive. The next day, we went to Disneyland, which was not nearly as good! Disneyland seemed to be plagued with technical problems that day - first, we were evacuated from Haunted Mansion when we were about 20 people from the front of the line, then, Mickey's float stalled in front of us during the day parade (though to be honest, this was one of the highlights - I had no idea what would happen when a float fully stalled, and apparently, the answer is that all the dancers keep dancing for ten minutes, while they go find a heavy duty golf cart to hook up to the float to tow it the rest of the route. I loved Mickey's reaction to the whole ordeal, and we got to see inside the control panel of the float! ), and then what really bummed me out was that the fireworks show froze halfway through, and we didn't get to see the end. :( Also, we checked at one point during the day, and Haunted Mansion, Thunder Mountain, and Space Mountain were all closed at the same time. 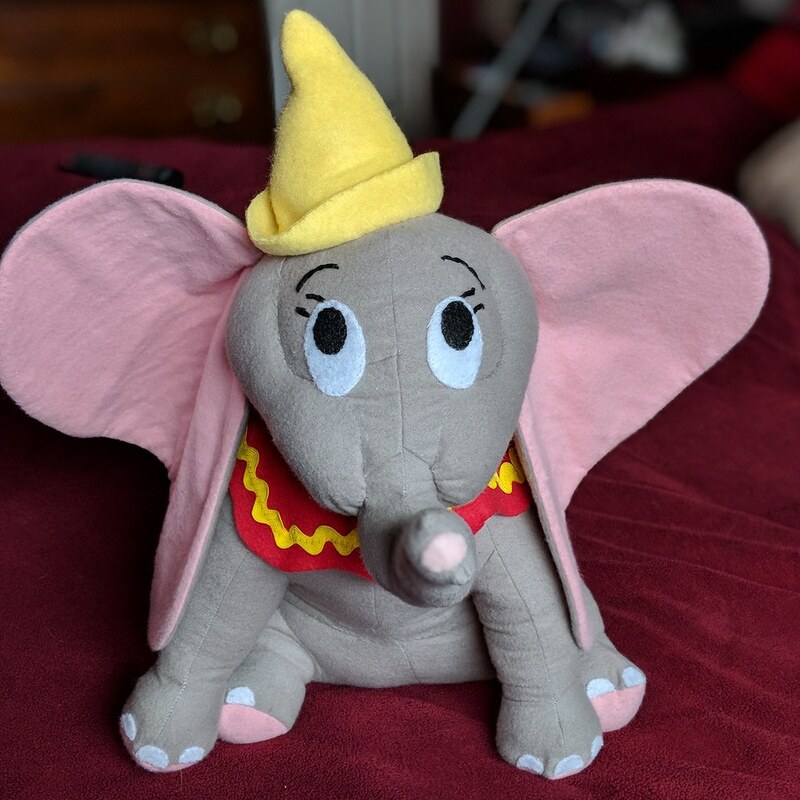 Clearly, Disney was just having an off day. I realized later that Ginger and I didn't get any pictures together, except for this hilarious snap from Hyperspace Mountain! Thursday, reine_de_coudre met us for Denny's and kindly drove us up to CoCo. On the way, we stopped for a little bit in the fabric district, and to see the Reigning Men exhibit at LACMA. Seeing all that 18th c embroidery up close was really stunning! We got to CoCo just in time to get ready for check-in and the pool party. 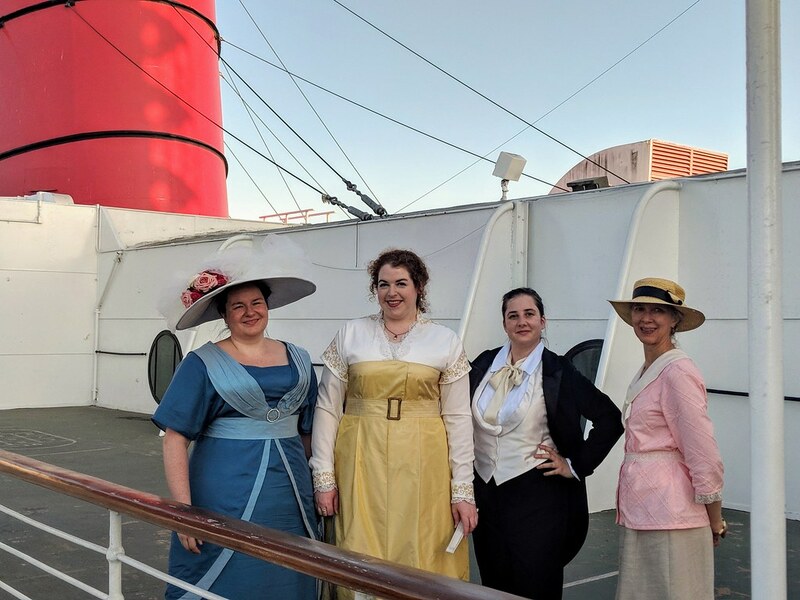 I wore my Titanic dinner dress, which I'm still not in love with, and I actually felt a bit out of place at the pool party, too, since everyone looked so fun and awesome in their 60s wear! 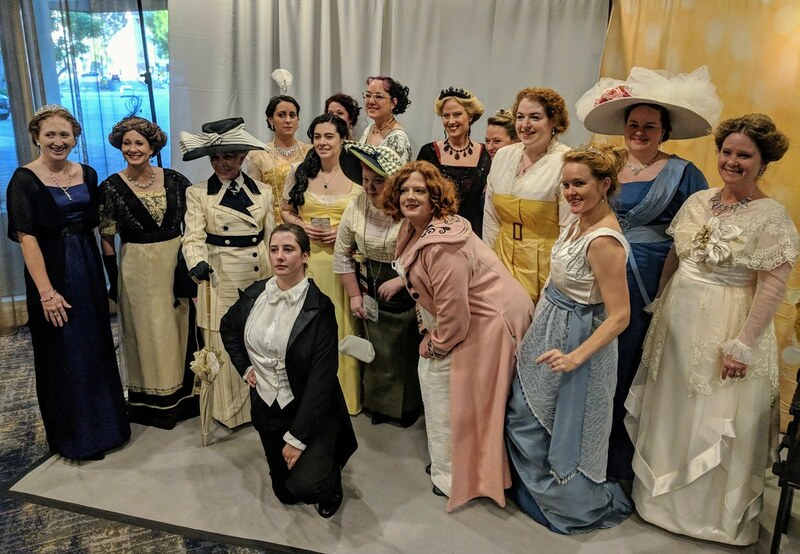 I have to say, between the pool party and the Friday night social, I don't think I've ever seen so many people dress to the theme! It was also so nice to finally meet sadievale and quincy134! I didn't take any pictures at all at the pool party, but luckily, rebecca817 snapped a couple! The rest of the weekend is coming soon! 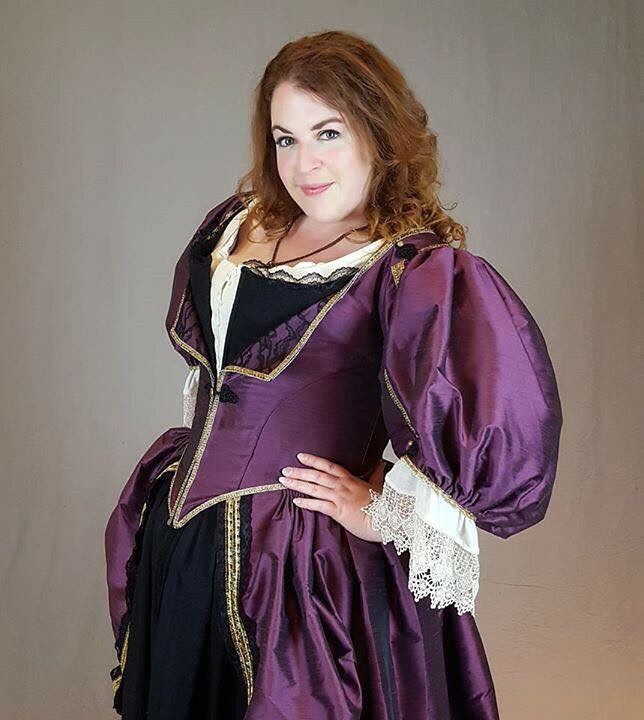 This bodice has been giving me so much trouble. I sewed up the sleeve pieces on Friday night, and that all went pretty decently. Then on Saturday morning, I went over to vanessa_lynne's house so she could help me fit them in. 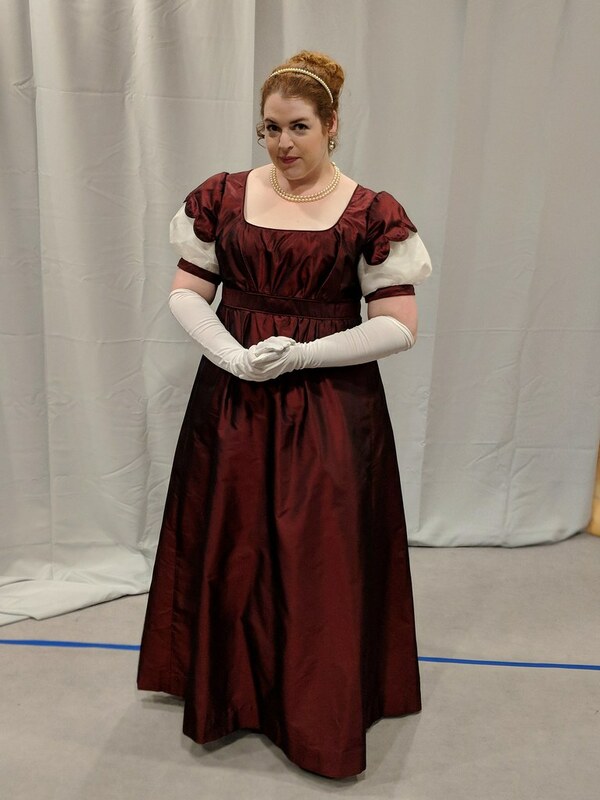 The bodice was fairly tight, and because I had made the silk top layer go past the h&e tape, the tightness pulled on that, and made the little silk flap stand straight out. Problem #1. But we figured a few snaps would help that, so I wasn't worried. 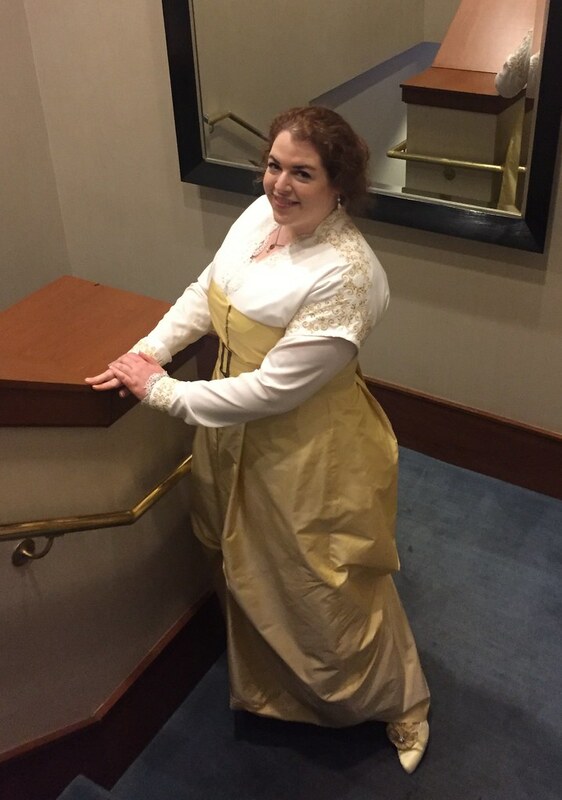 She pinned the sleeves pieces in place to the bodice, and I took it home to sew later. 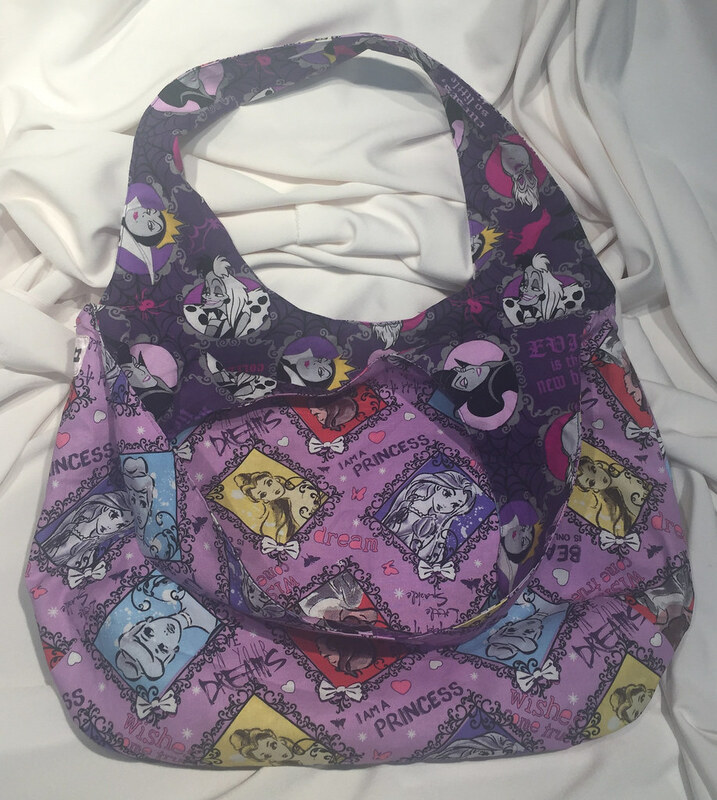 Six caroling gigs later, I finally sat down to sew it on Sunday night. 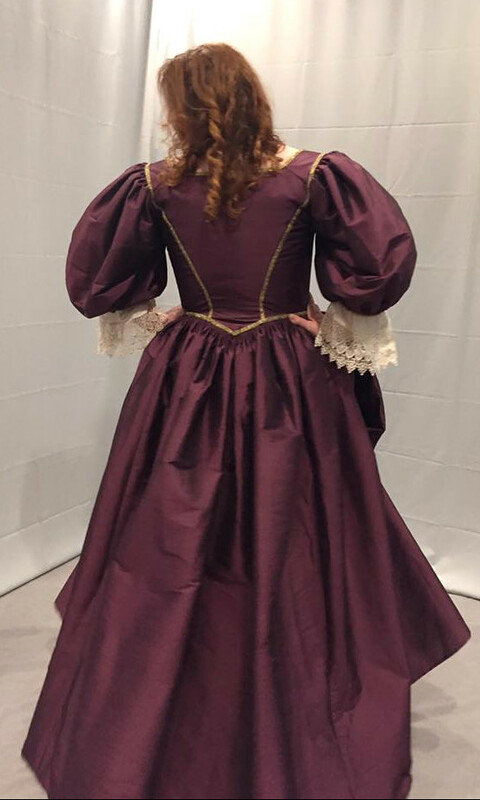 I sewed down both the sleeves, and was confused how she marked the back, since one side of the sleeve/back piece went past the edge of the bodice. So my bf helped me put it on. 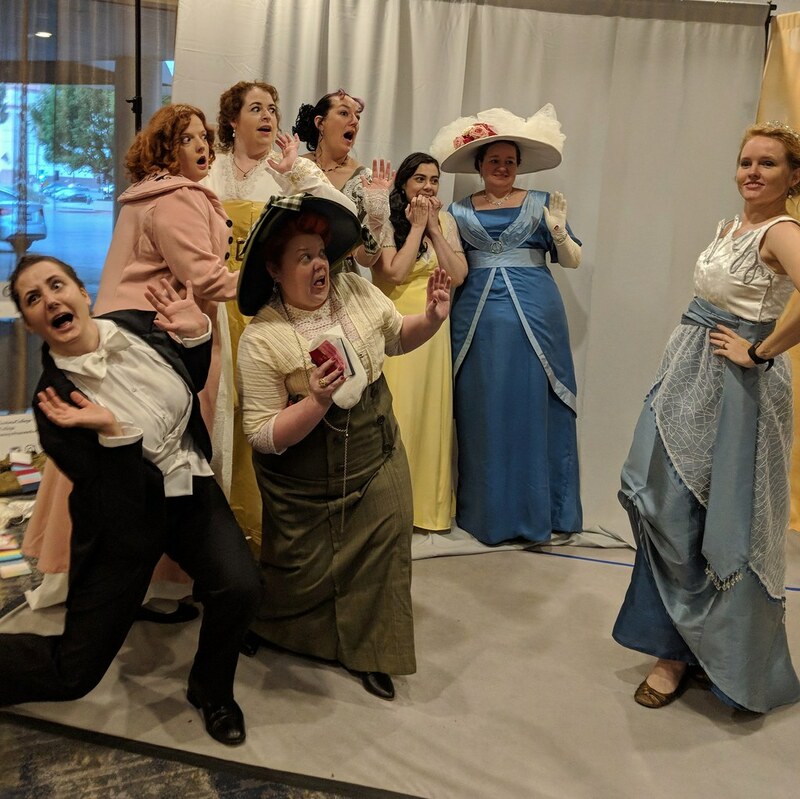 I then realized that I must have had the bodice on crooked when we pinned in the sleeves, because they were totally off center. 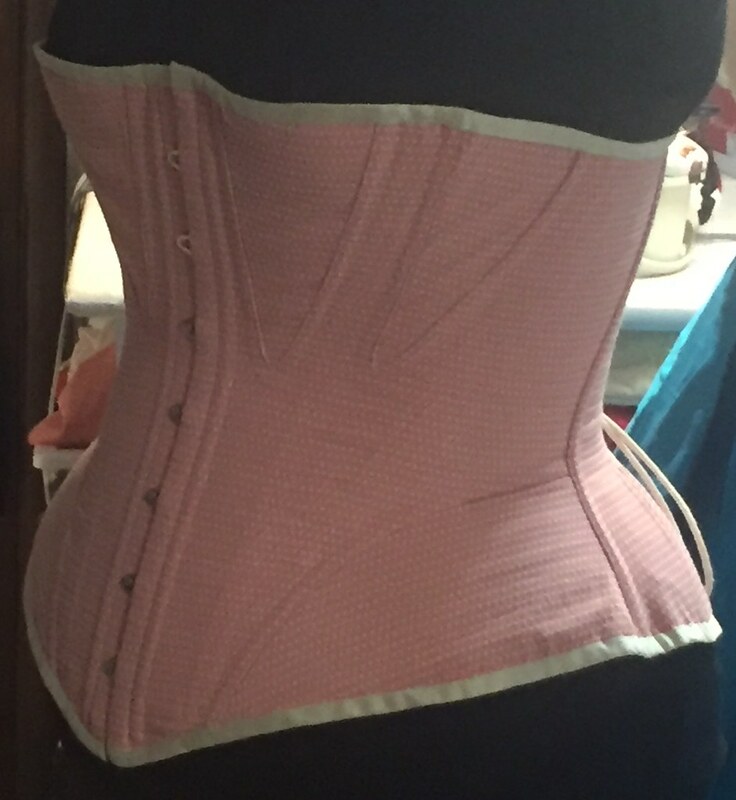 Also, the top of the back in particular was still really tight, even if I laced my corset all the way closed. I ripped the one sleeve off of the bodice, and figured I would try to move the piece of h&e tape over to the edge of the CB silk flap I had made. Luckily, underneath the h&e tape, I found that the twill interlining had been folded, and could be extended out as far as the silk flap, so I could get an extra .5"+ in the CB. I pinned everything back in place, so that I could machine sew the h&e tape back down in the morning before I left for work, and therefore be able to do the handsewing on the bus and at lunch. 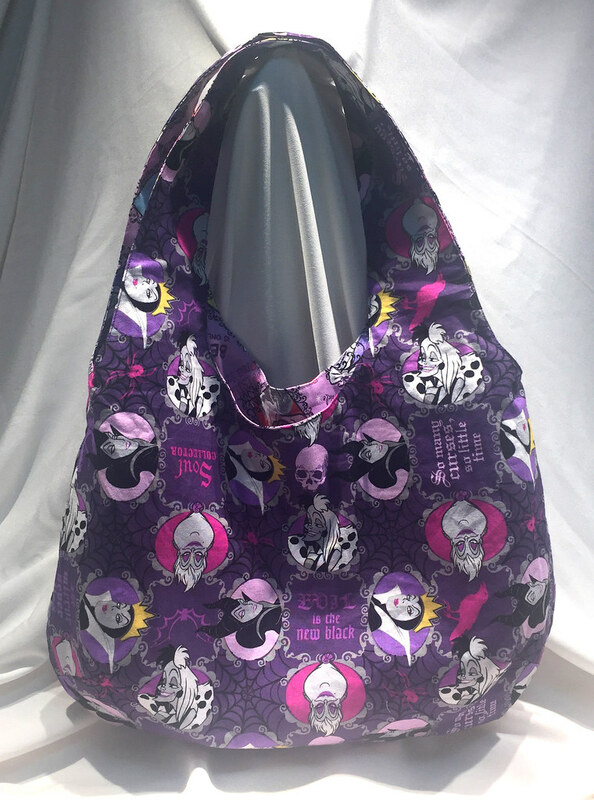 Yesterday morning, I did my machine sewing, grabbed my kit, and headed out the door. I sewed the other edge down on the bus ride to work, and went to go reattach the trim at the top of the bodice. But when I went to line it up with the other side, they didn't match at all. In fact, the bottom and the trim line were both about .5" off between the pieces. Somehow, I had pinned my h&e tape totally wrong. So before I started work, I ripped both lines of stitching back out, and re-pinned it in place. Luckily, I had brought some bias binding with me, because by moving the twill tape, it wasn't long enough to cover the piece of boning underneath. So I wound up hand-sewing a small piece of bias binding to each end of the h&e tape, to act as the endcaps for the boning. 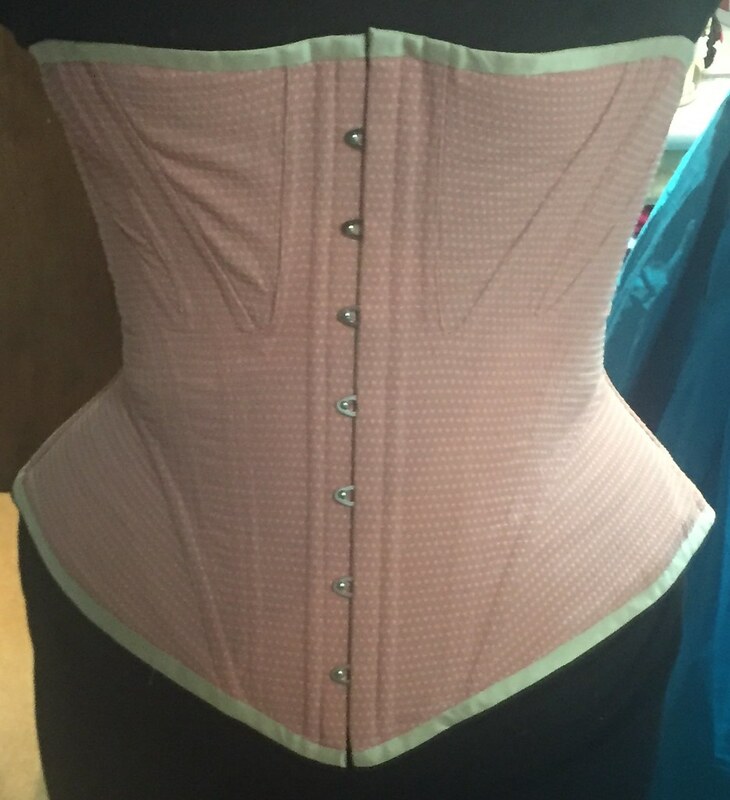 At lunch, I handsewed the h&e tape back to the bodice, using a backstitch, and then on the bus ride home, I turned it and whipped it into place, inserting the boning before I did so. When I got home, I reaffixed the trim (which now matched on each side - yay! ), and sewed the sleeve piece back in. I did a narrow hem on the center backs of the sleeve pieces, and then pressed and hemmed the satin layer of the skirt. Then I got less than 6 hrs of sleep, because I stayed up way too late doing this. I found the ufo fabrics! The Elsa skirt fabrics didn't arrive yesterday, so I packed up the rest of my books, and then started on my ribbons and buttons and scarves/shawls in my giant Ikea cabinet. And there, behind a bag full of scarves, was a small fabric basket filled entirely with the fabrics for the UFO project. I was so excited! So I went and tried on my kimono sleeve pattern, altered it, tried it on, and altered it again I wanted a v-neck into the rest of the bodice in the front, and a much higher v in the back, so it took a little fiddling. Then I cut it out in my mauveish chiffon. 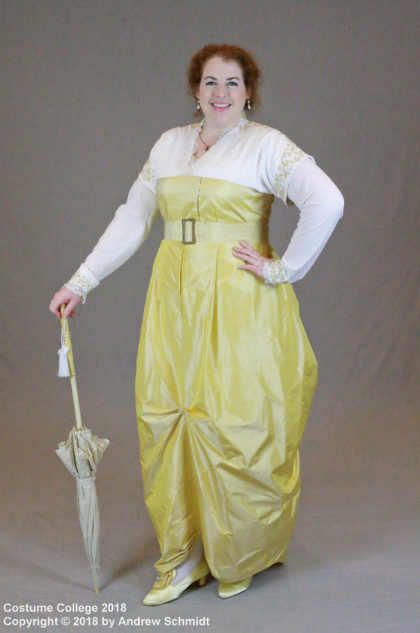 I played around with which fabric I wanted to line it with, and unfortunately, the only one that worked (the gold from the skirt) didn't have any pieces wide enough to cut the sleeve. 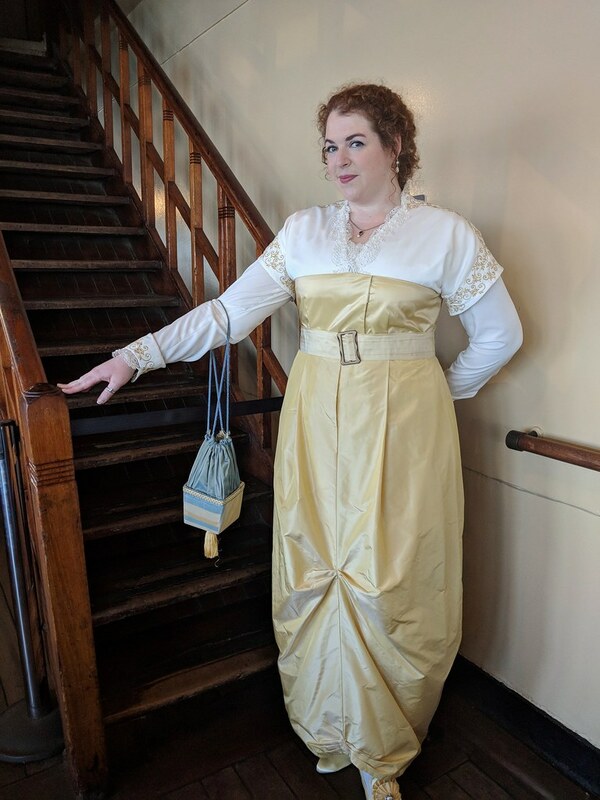 But I realized - a cotton lining would be way more comfortably than poly satin anyway, so I cut it out in muslin, and dyed the muslin pieces a pale goldish color. 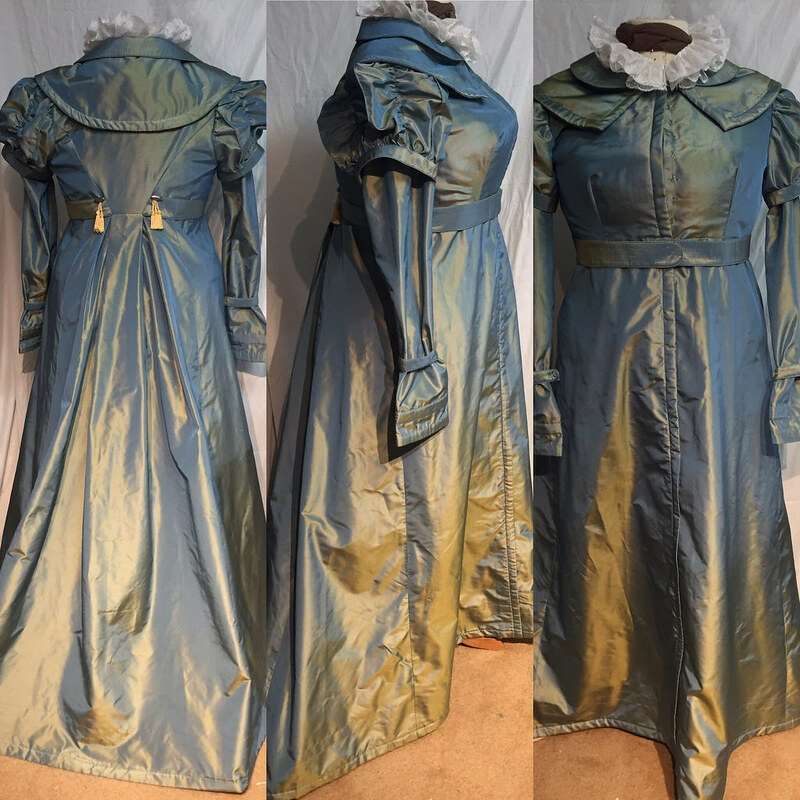 I think I had originally intended to line the kimono sleeve with pale gold chiffon, since I had a ton of that left, but I don't want to have to worry about straps showing, so I figured I should stay away from the sheer lining (plus, that's two less pieces of chiffon to worry about). I stayed up way too late doing all of this. Tonight, I have a caroling gig till 8pm, and the Elsa fabrics should be here, but I'm going to try to knock this kimono sleeve out. My plan is to flatline the chiffon with the muslin, and turn a narrow machine hem (if the fabric will let me) on the neckline and sleeve hem. Then I somehow have to mark where it hits the bodice, and stitch it in. It will probably also need a few hooks in the CB closure. Not sure how I'm going to manage the CB marking by myself... I guess we'll see when I get there. 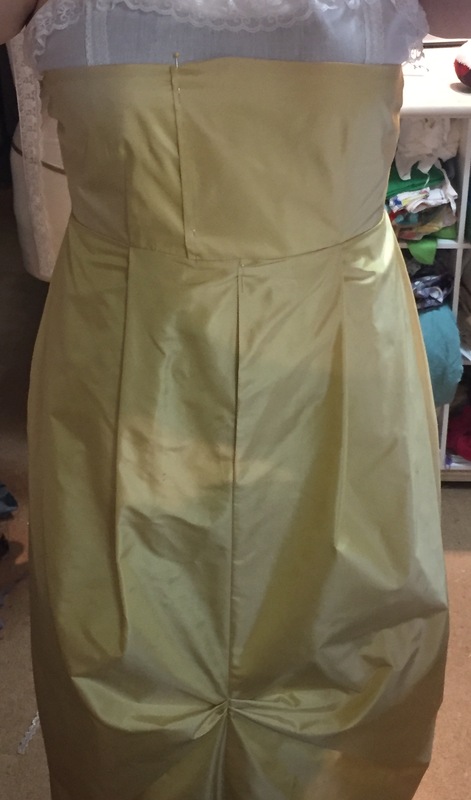 Once the bodice is done, though, all I need to do is put a waistband on the skirt, and hem the gold satin layer. 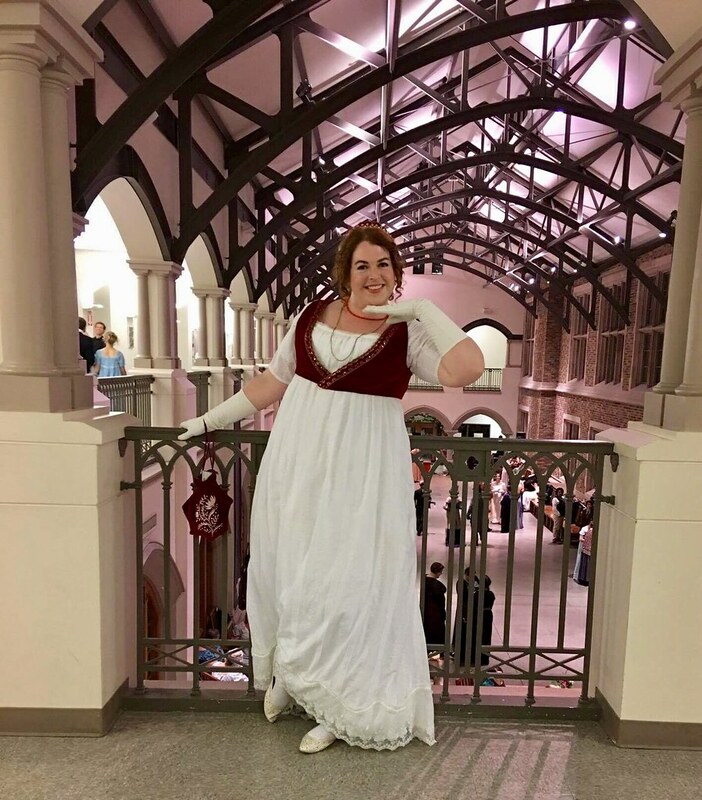 I'm going to leave the chiffon layer and chiffon belt with their serged rolled hems, because there's just not time to worry about it right now. This weekend is going to be interesting though - in addition to the gig tonight, I also have three tomorrow, from about 2-9pm, and three on Sunday, from 9:30am-5:30pm. And I have to pack. And make an Elsa skirt. I think I've figured out what I want to do with my sewing table, so hopefully I'll be able to successfully create it. I'm going to use at least three of these, one on each end, and one in the middle. I haven't decided what, if anything, will be on the side closest to the wall. Then on top of those, I'm going to have a board of some sort, to act as a shelf for things like rulers or my cutting mat when I'm not using it. The shelf will be somewhere between 2-5" tall, depending on if I decide to put the whole thing up on casters or not. Then over the shelf will be the actual surface, which will have the padding and canvas cover. I'm going to put the whole thing about 6" away from the wall, because I want to put an angled shelf with a lip a little above the surface of the table, to hold bolts as I'm unrolling them, so that they don't have to be on the table. I will likely put a regular shelf just below the surface of the table, which will span the gap, and catch anything that wants to roll off the back of the table. Hopefully that all works out! I'm also figuring out how to make a banquette for the dining room. This is fun! Well that puts a damper on things. 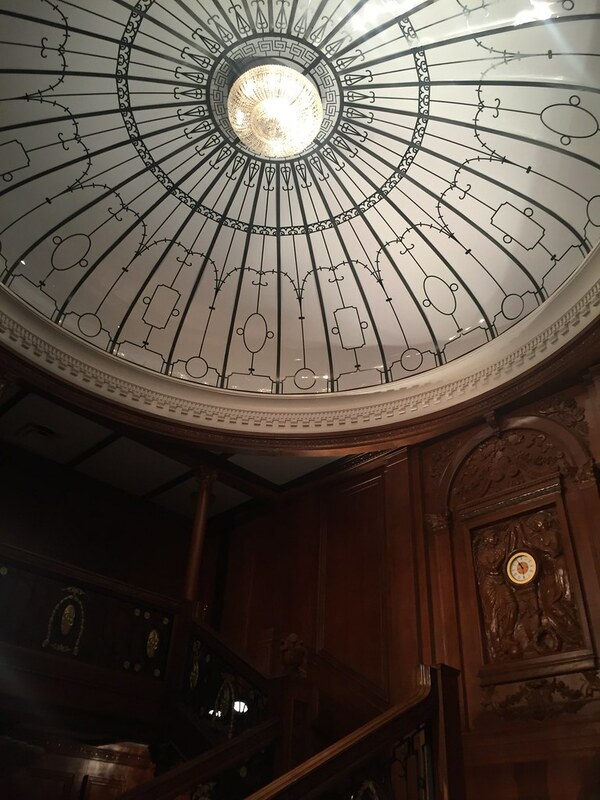 I was going to try on the old Edwardian ufo tonight, so I went to go see if I had any old LJ posts about what exactly I was doing with the project. 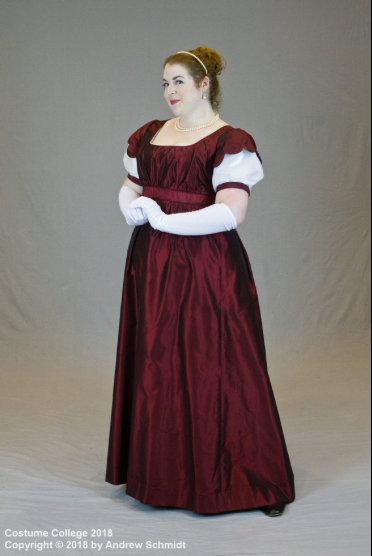 And apparently, the sleeves were going to be the same purple chiffon as the middle layer of skirt. Except, I have no idea where/if I have any more of the purple chiffon. I looked in as many places as I could think of, and nothing. The extra bit of gold chiffon that I had originally found last week turns out to be the sash, not the fabric for the sleeves. So... yeah... 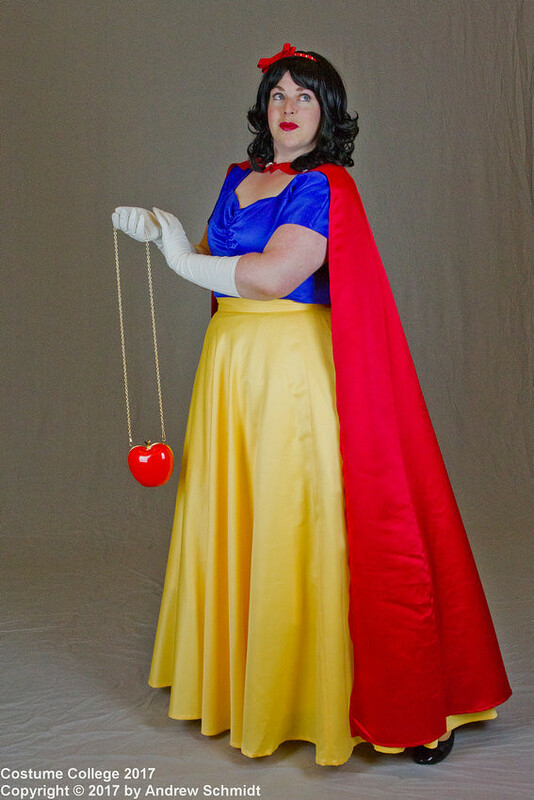 I don't think this costume is happening. Which is annoying, because it means it will remain a ufo forever! Maybe I'll find it while I'm packing? Or of course, it could still be in CA. Because I have made two moves since I last worked on this. Not a good sign. 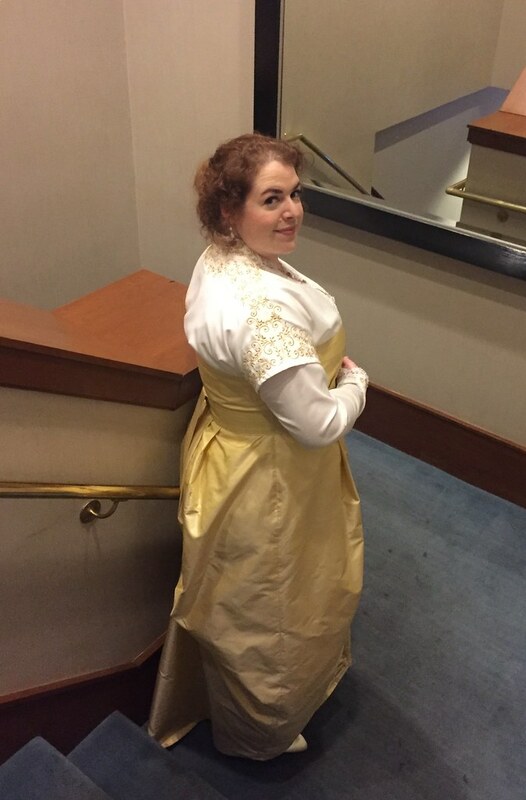 In other sewing news, we've decided to use my Ravenclaw bustle for my caroling costume, sans bustle. 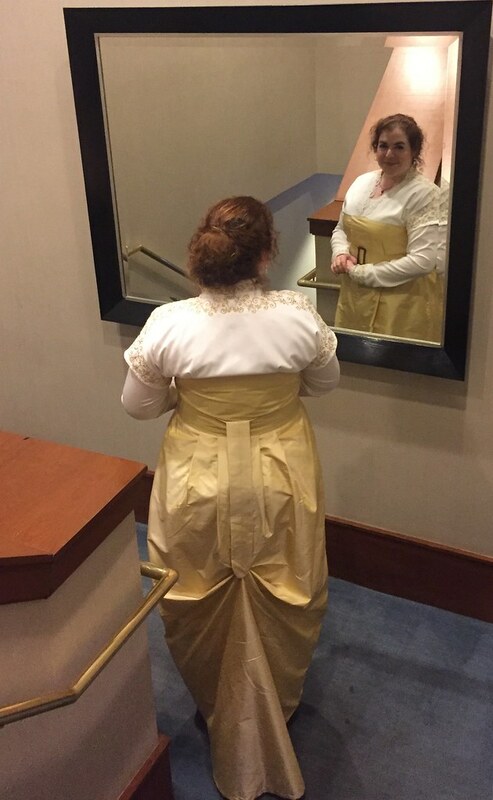 So tonight, I took up the skirt towards the top, so that the seam won't show from underneath the apron drape. I just did a giant tuck with a 3.5 stitch length, so it will be easy to take down later. I think I took it up about 7.5" in the cb! 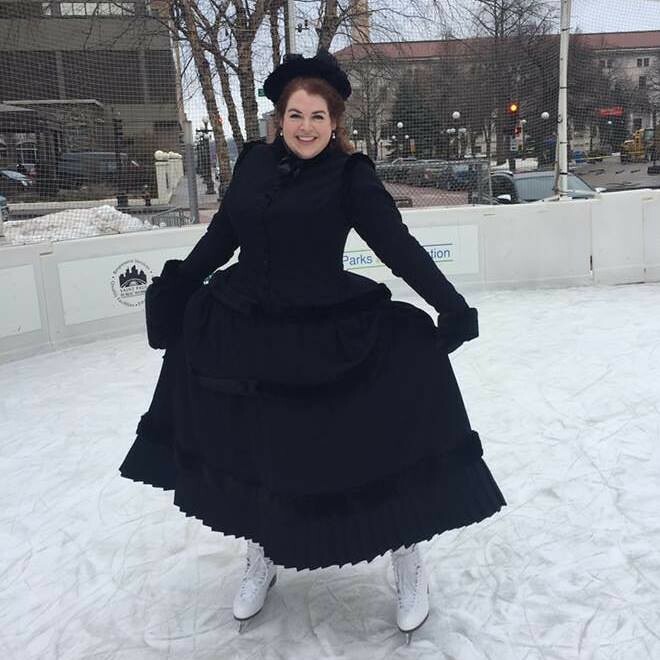 I guess that's what a bustle will do for you. But speaking of the west coast, my plans are being made for my move up to Seattle! I'm planning to move up there around May 1st, and I'll probably fly up for a few days later this month to find an apartment. So stressful, but it was time to bite the bullet. 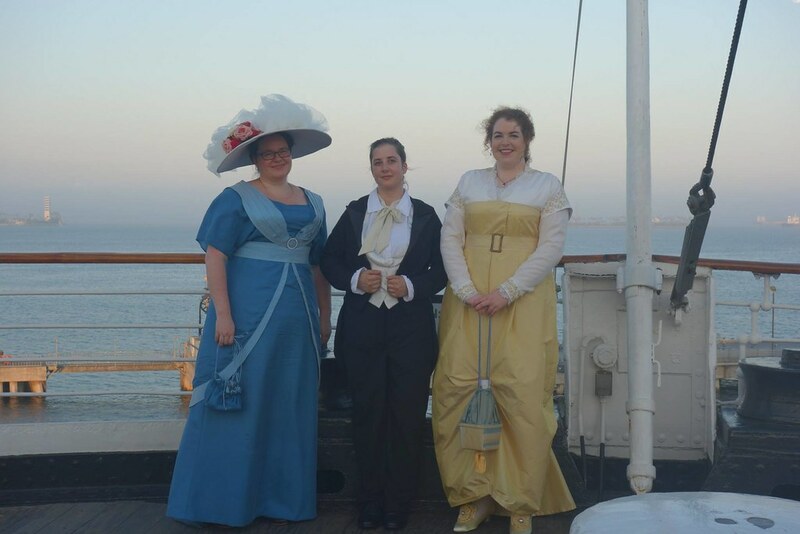 Also, in completely other news, I have had such a great response for the Tea and Titanic event! 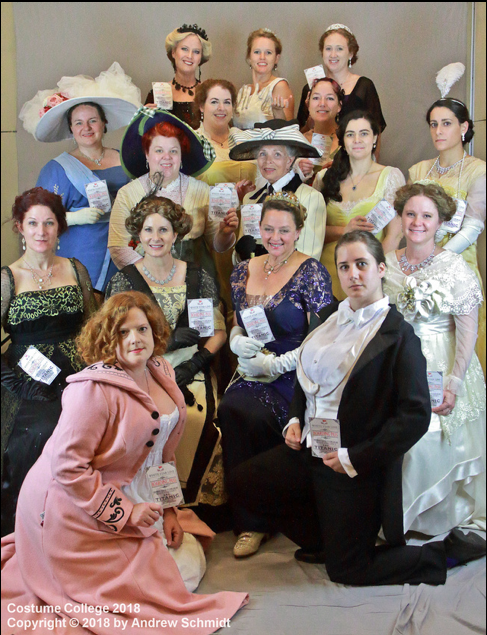 We're fully booked, with a whopping 17 tea guests for our 2:30pm April 15th tea. If there's anyone who meant to get a seat and has been slacking, we might be able to squeeze one more person in, and anyone is welcome to join us for the 4:05 movie afterwards. 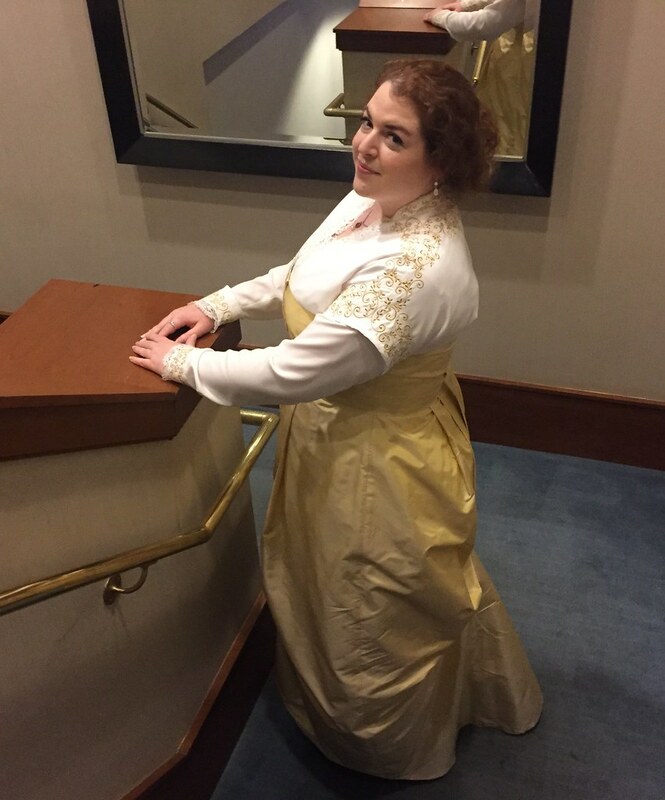 I'm planning to wear my linen corselet skirt and Old Navy blouse, but I still have to make a princess slip for it. 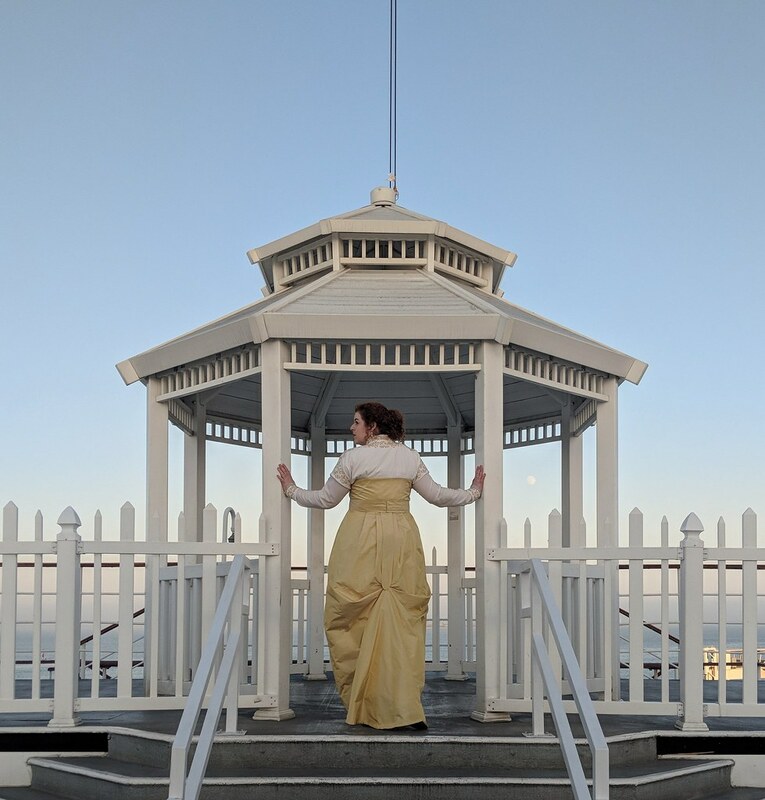 Tech week for Pirates of Penzance is over, and we have had two very successful performances! 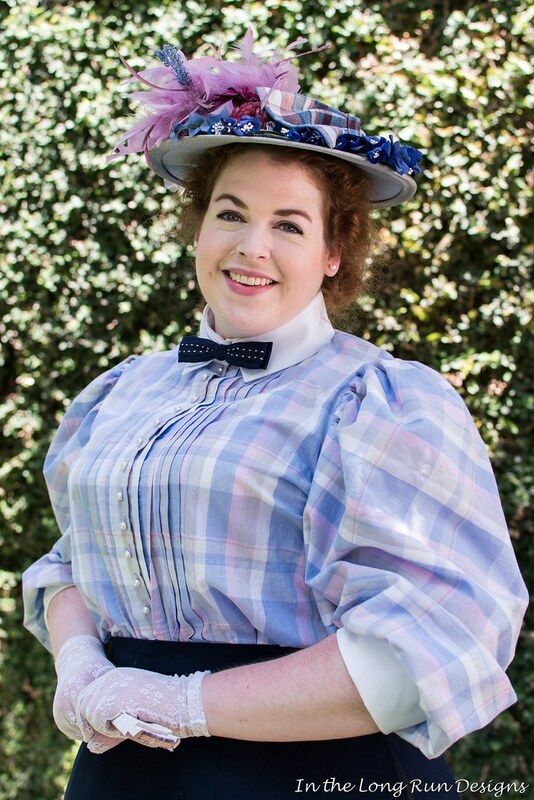 Of course, tech week means that I did very little sewing last week. 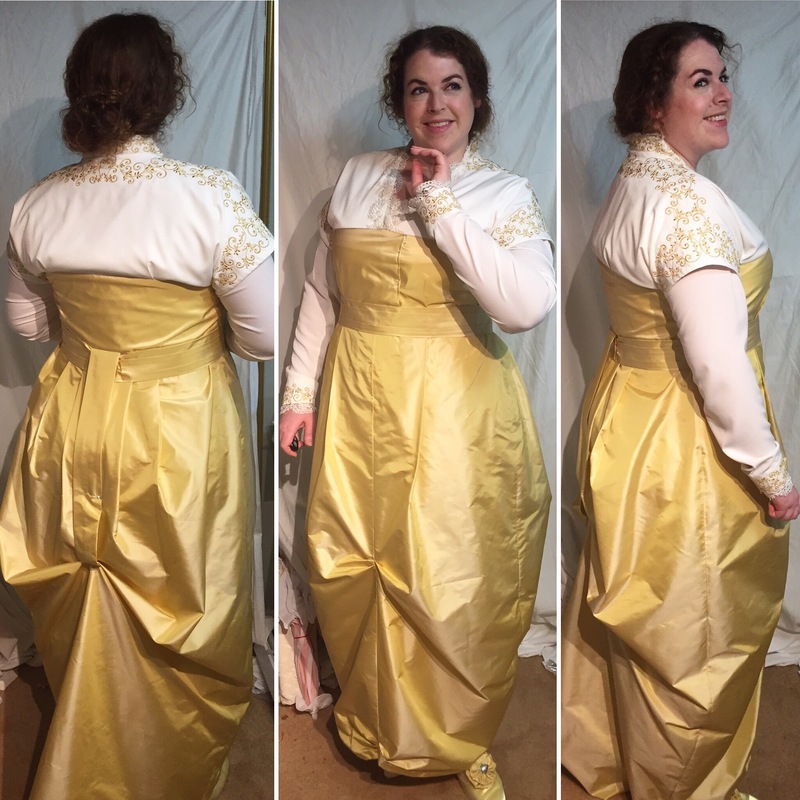 The liner part of the bodice is entirely done, and I'm currently attempting to figure out how to get the sari fabric layer of the bodice fitted, without removing the border and cutting it down to fit the Janet Arnold pattern. And I hope to start the underskirt very soon. 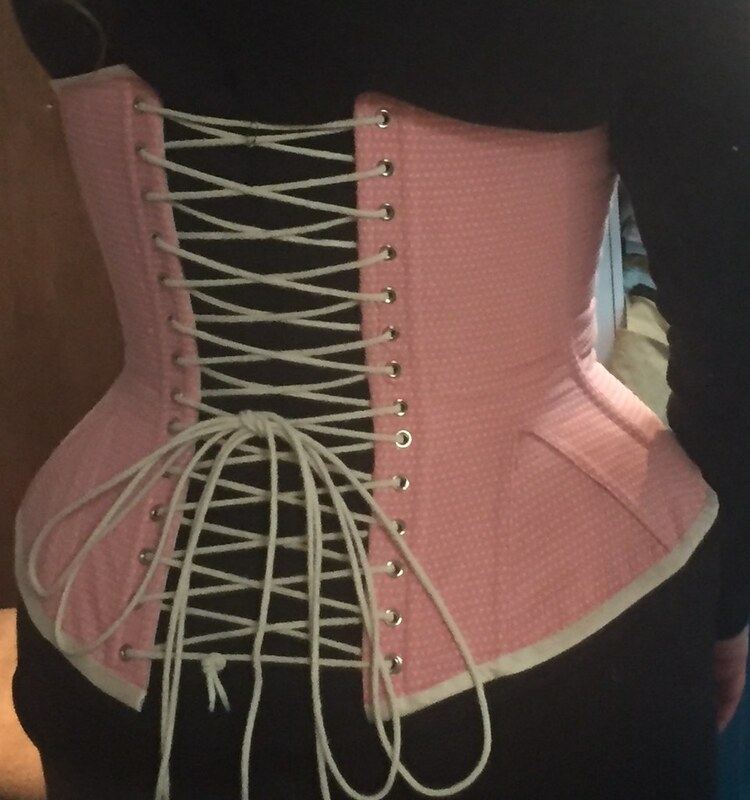 I also found this top at OldNavy.com, which perfectly reminded me of a corset cover. I can't wait till it gets here. I hope it works, since I really don't feel like making one. 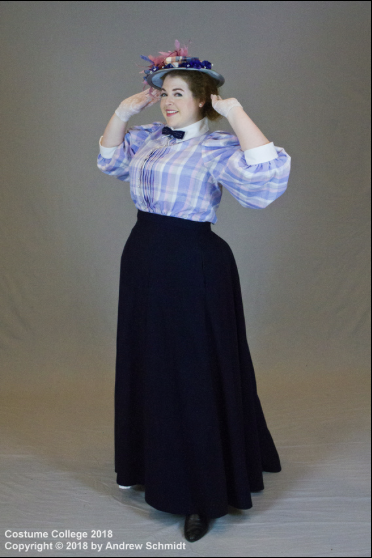 I finished the skirt on Tuesday (I decided on eight buttons going down the top half of the front left seam of the skirt), and added the hooks and eyes to the velvet ribbon belt today, which means I'm officially done with the teens daywear look! At least on the outside. 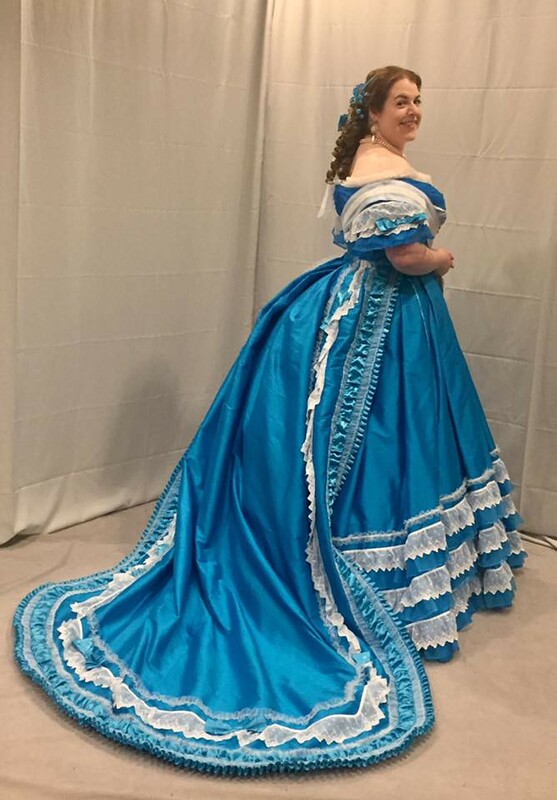 If I have time, I plan to make a corset cover for it, too, and I need to do a quick petticoat for it, since I don't think I have any whose shape will work under such a fitted skirt.